The PLUGS Summit will be held June 12th-14th at Bell Harbor International Conference Center in Seattle. 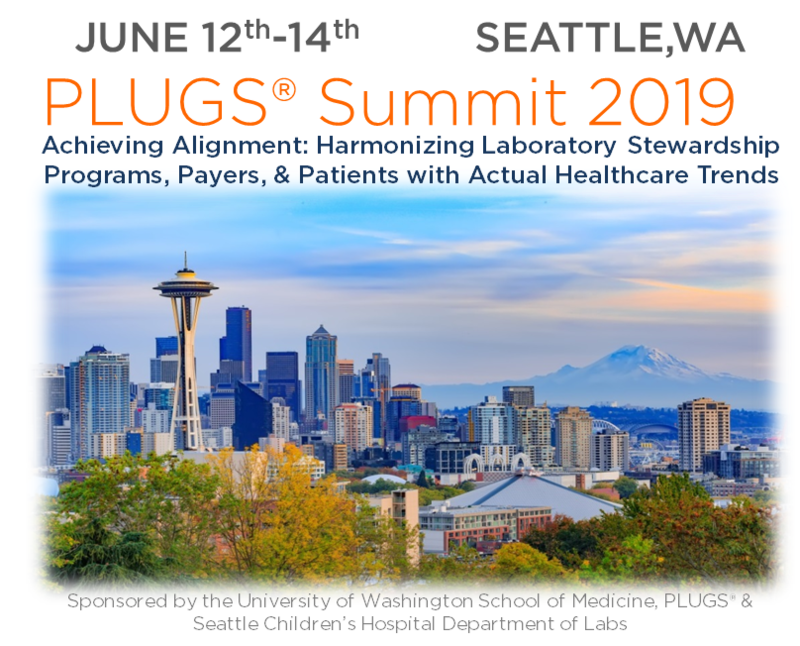 Join over 250 attendees for the 5th annual PLUGS Summit, where a diverse group of stakeholders gather to learn practical tools for laboratory stewardship program development and insurance advocacy that will apply to hospitals, health systems, reference labs, insurance payers, and patients. 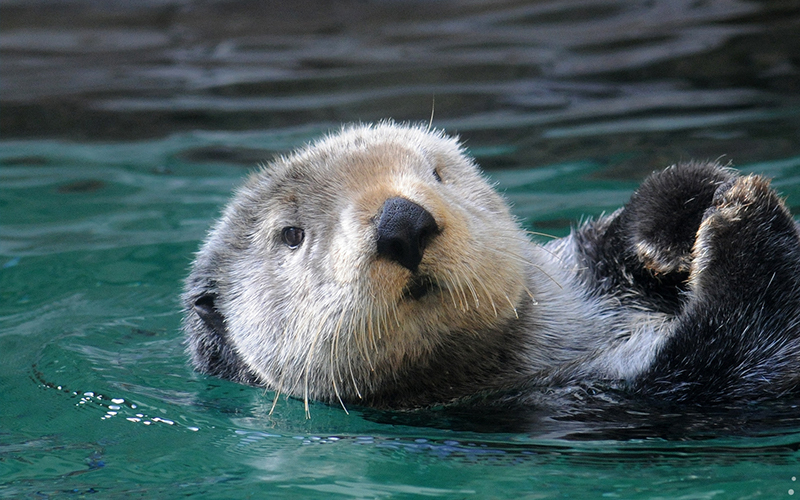 Join us at the Seattle Aquarium for our 5th annual PLUGS Summit reception, June 12th at 6:30PM. Enjoy food, drinks, and networking, all while experiencing the Aquarium exhibits at night. The reception is open to all pre-registered attendees. This session is not CME accredited. Spend the morning behind the scenes with Seattle Children’s Laboratory Stewardship Team. Attend the daily lab-wide huddle from 10:00 am to 11:00 am, and lab stewardship committee meeting. Space is limited; RSVP when you register for the Summit. This interactive intermediate-level seminar is intended for laboratory stewardship neophytes through those who are seasoned veterans of these efforts. Presenters will first describe the current state of laboratory stewardship, and provide detailed descriptions of the key components of successful programs. The scope will then be broadened to identify and discuss exciting new collaborative stewardship opportunities between the laboratory and pharmacy. Finally, an even broader scope and vision of stewardship will be explored, with an eye toward our evolving health care delivery system. Attendees are encouraged to actively engage in this shared learning experience. Space is limited; register when you register for the Summit. This workshop is hosted by ARUP Laboratories. We respectfully request that individuals employed by ARUP Laboratories’ direct competitors refrain from registering for this workshop due to proprietary information that will be presented. 7:00 am Non-CME accredited workshop to be announced. 3:45 pm ROUND TABLE: To be announced. Speakers to be announced. This session is not CME accredited. 1:30 pm The Great Genome Debate: Are we ready for prime time? Mention “PLUGS Summit” to get the conference rate! The University of Washington School of Medicine designates this live activity for a maximum of 10.5 AMA PRA Category 1 Credits™. Physicians should claim only the credit commensurate with the extent of their participation in the activity. The National Society of Genetic Counselors (NSGC) has authorized University of Washington School of Medicine, PLUGS, and Seattle Children’s Dept of Laboratories to offer up to 1.05 CEUs or 10.50 Category 1 contact hours for the activity PLUGS Summit 2019. The American Board of Genetic Counseling (ABGC) will accept CEUs earned at this program for the purposes of genetic counselor certification and recertification. What are people saying about the PLUGS Summit? I attended and was absolutely blown away by the content. What I have learned will only strengthen my advocacy with payers on how important genetic testing is and how our robust stewardship program ensures the right test at the right time for the right patient. Well, you did it again! This year’s PLUGS Summit was fantastic. So many great takeaways and learnings…plus you have created a very intimate and engaging networking environment that I know everyone appreciates. Interested in sponsoring the PLUGS Summit 2019?